What can I do if my VPN is blocked in Thailand? 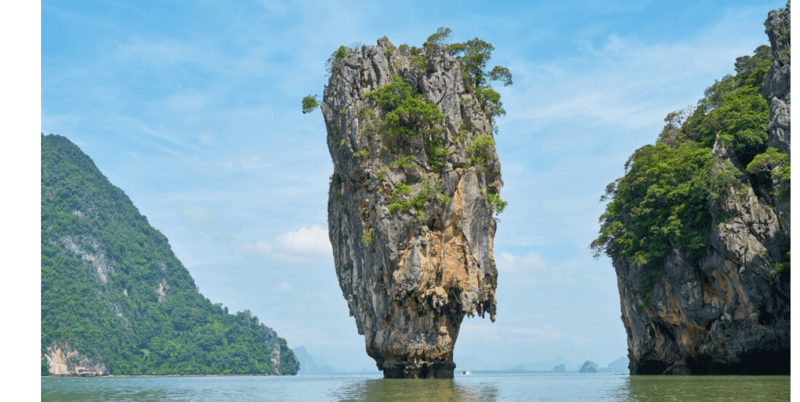 Home » VPN » What are the best VPN solutions to use in Thailand? You may be wondering why you need a VPN in Thailand. Well, Thailand has always been a wonderful country for tourism, visits, or even business. However ever since the military junta set in some few years ago, there has been an intense crackdown on internet use. This may result in being unable to access social media or certain geo-location sites. Also, Thailand has intensified its computer-related laws to give government extra control over internet access. To have the freedom to access this site and many other, you need a VPN to give you secure access to this contents. What VPN basically does is it masks your IP address by changing it to another country’s IP address; hence, your location is being spoofed to appear as if you are logging in from another country. In addition, VPN also helps you to browse anonymously without fear of third-party snooping in to access your information. Since government crackdown is intense, you would definitely need a VPN to secure your VoIP calls and video chats. Strong encryption to keep your data private from ISPs, governments tracking, and snoopers. Killswitch feature: This feature is essential because it prevents accidental leakage of unencrypted data to your ISP if your VPN service suffers problems. Without a kill switch, your VPN service is not secured. Stealth mode: This enables silent and complete anonymous browsing. As the VPN conceals both your system traffic and the VPN traffic. This is important because the main reason people use VPN is to view (illegal) contents; hence, stealth mode would secure your system from any potential government tracker. Meanwhile, these features are important in countries that crackdown against VPN such as Thailand. Since many VPN services is blocked by the Thai government, we have gone ahead and analyzed 5 of the best VPN service for accessing contents in Thailand. CyberGhost is a widely used VPN in regions which are not VPN-friendly. With over 750 servers worldwide, CyberGhost is an efficient VPN service provider to use in Thailand. Some of its features include no bandwidth limit with 256-AES bit encryption technology. Users information are kept secure with its DNS and IP leak protection while it also offers good browsing speeds when connected to their servers. Hence, you do not need to worry about your VPN being blocked in Thailand. In addition, CyberGhost is cross-platform compatible with Windows, Linux, Mac and Android versions available. You can take advantage of the 30-day money back guarantee to test their services before deciding to purchase it fully. IPVanish has been in the VPN market for a while and provides excellent VPN features. The software offers many servers in strategic locations worldwide. The VPN service encrypts user’s data connection with a 256 encryption technology and rerouted users connection through their servers to increase privacy. You also get kill switch and DNS leak protection feature which means your information is not leaked out to Thai government. The servers also give decent speed which is ideal if you access streaming websites. Also, IPVanish is an excellent VPN service for Thailand and offers a seven-day money back guarantee for any of its plans. VyprVPN offers comprehensive VPN features at an affordable price. Your connections are passed through their servers and are encrypted with a military-grade encryption. Using this VPN eliminates any chances of your information being detected by the government or your ISP. Also, VyprVPN has a stealth mode which ensures complete anonymous access to blocked content. You can easily access geo-blocked websites like Netflix and BBC services using this VPN. Their servers have fast connection speed and are excellent for streaming, gaming and downloading contents. VyprVPN is excellent to use in Thailand as it offers all the services needed to unblock government censored online services. BolehVPN has gained popularity in the past few years with its ability to bypass geo-blocks. This enables users to access information exclusive to a particular region in the world. Also, BolehVPN offers few servers in 13 countries; although, this is few when compared to other rivals, but it still performs a perfect job. These servers are located in strategic regions to facilitate easy access to contents. The VPN has very strong open encryption protocols coupled with Killswitch and DNS leak protection options, ensures that your online activity is completely secure. BolehVPN is cheaper compared to others on the list and offers users a day trial of their product. ExpressVPN has consistently been among the vest VPN available for Thailand. They excel in offering full VPN features as well as excellent customer support. With over 1000 servers in over 50 countries, users have the choice of servers to suit their geography needs. The VPN has one of the best security protocols where users’ data traffic are encrypted with 256-bit encryption. Your information is kept private as the VPN masks your IP address with their making it difficult for government agencies to identify your location. The kill switch and DNS leak protection ensure that your online activity is kept private from hackers, snoop, and your ISP. Also, ExpressVPN has a stealth or silent mode whereby your IP and the VPN IP address is masked; this enables you to complete anonymous internet activity. In this mode, it is difficult for your ISP to identify an IP address from your location. Their customer service is well lauded with quick and valuable feedback given to users with problems or questions about the VPN. ExpressVPN comes with a 30-day money back guarantee on all their products with the basic plan starting at $10 a month billed annually. All the VPN listed above are excellent for Windows users if your current VPN is blocked in Thailand, but we recommend you use CyberGhost because it provides a total package from features to customer care support and money back guarantee. Have you used any of the VPN we mentioned above in Thailand? Feel free to share your experience with us by commenting below.